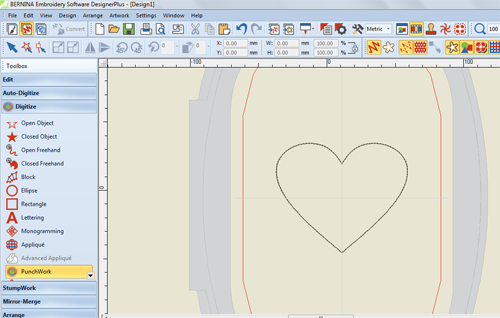 I have been trying out the new punchwork feature in BERNINA Embroidery Software 7. So easy! We have a lovely yarn store a few doors down from our shop with a wonderful selection of wool roving. A little goes a long way! Draw a shape in Art Canvas. Convert to Embroidery. 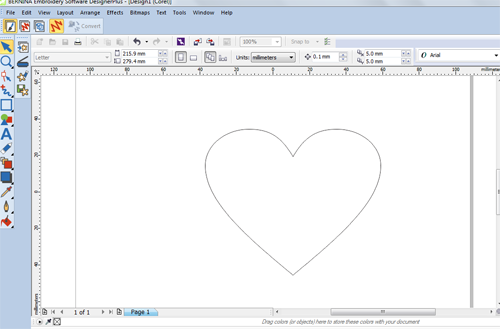 Select Punchwork and follow the prompts to create the punchwork design. Customize parameters in Object Properties. …and then popped it over to the embroidery side. I selected the Punchwork and followed the prompts to create the punchwork, then saved it to a USB stick. Moving to the embroidery machine I hooped the fabric with heavyweight stabilizer, stitched the placement line, laid the roving in place, and started my machine. 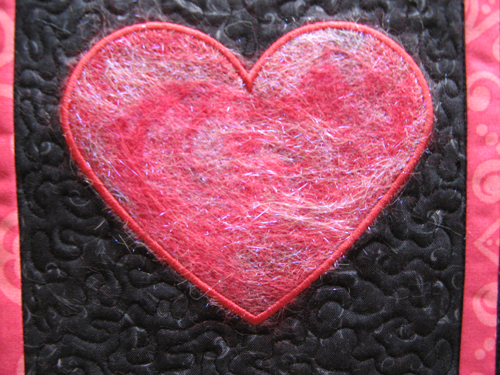 I felted the heart twice – the first time with just roving, the second time with metallic sparkly fibers mixed with some more roving. When it was done I trimmed the overhanging fibers. Next Next post: What Makes a Successful “Art Quilt”? The “WOW” Factor.